On this page I will showcase a selection of one-off pieces of jewellery that don't fit elsewhere. Some are just pieces that I made for fun! 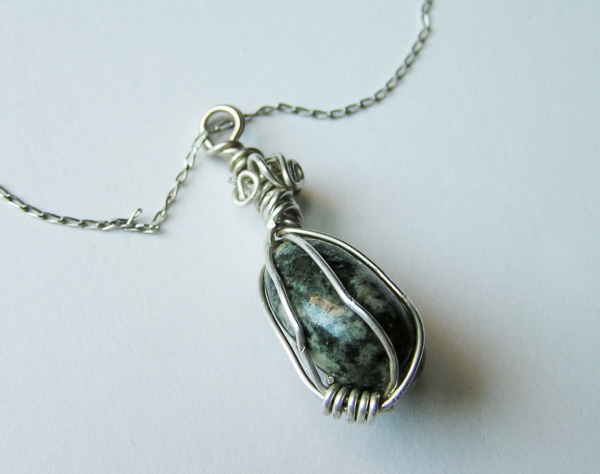 Preseli Bluestone Necklace -Own The Spirit Of Stonehenge. 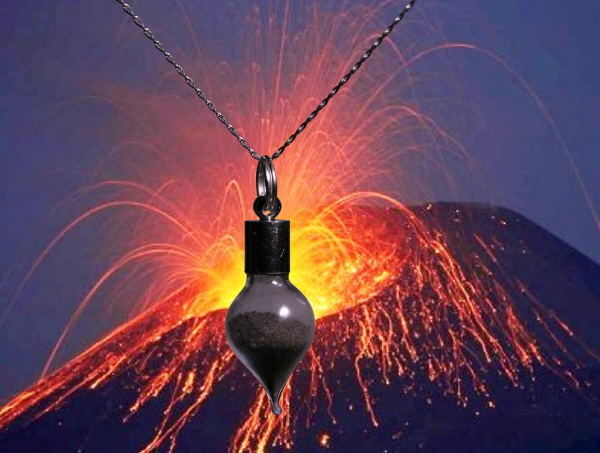 Every time you wear this necklace you can feel in touch with this magical stone - and it will give you a LIFETIME of pleasure. 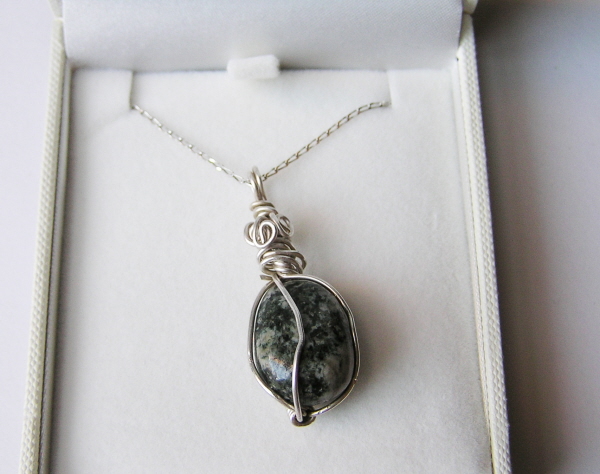 The stone measures 2cm across - and has been carefully wrapped in sterling silver wire and is strung from an 18 inch sterling silver chain and boxed in a gorgeous padded jewellery box. If you have had a nightmare trip ruined by the Icelandic volcano Eyjafjallajokull this could be just the thing to buy! I have sourced some volcanic ash direct from the base of the volcano in Iceland. I have filled a glass vial with roughly .5 gram of the ash and it is securely glued forever with a silver plated fitting. The necklace is strung from an 18 inch sterling silver chain and boxed in a super black velvet lined jewellery box. 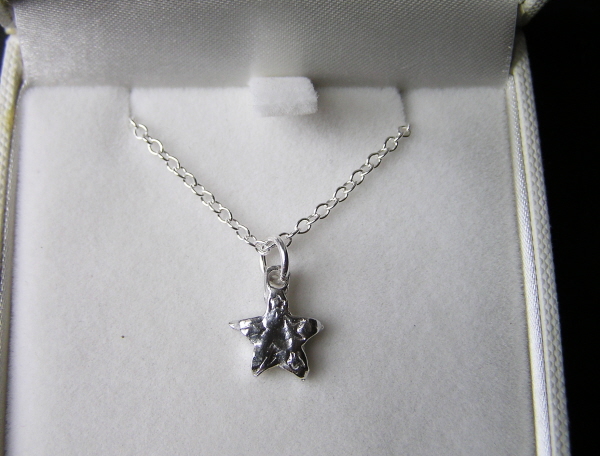 This is a super little piece of jewellery - and a sure winner for a dinosaur obsessive! 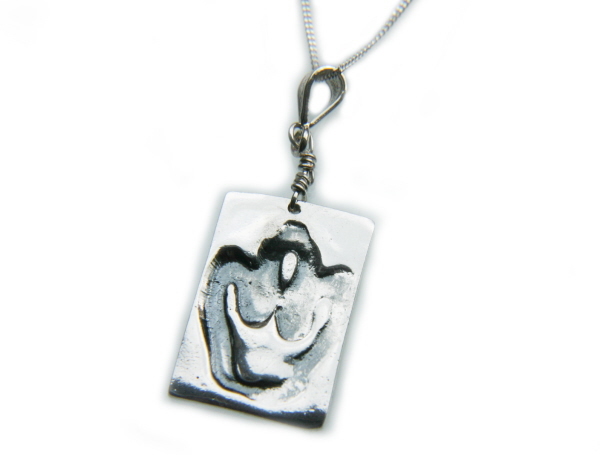 It is a rectangle of solid silver with a dinosaur footprint stamped into the silver. The footprint has been treated with an oxidising solution, giving it a dark grey colour - making it stand out more. The pendant measures 2.2cm top to bottom and is strung from an 18 inch sterling silver chain and boxed in a gorgeous black velvet lined jewellery box.